EOT 2015: Day 4. This Is It! The banquet and festivities began last night with the costume contest and I really only went in it for the hell of it with my 1890's bicycle. I gave my spiel about costume changes in the 1890's allowing the liberated woman to exercise without restricting clothing etc etc Blah blah, did not expect to place! Lol! Had so much fun. The B-Western shirts and matching skirt for Katie Younger and Robb n Co won them 2nd place couples! 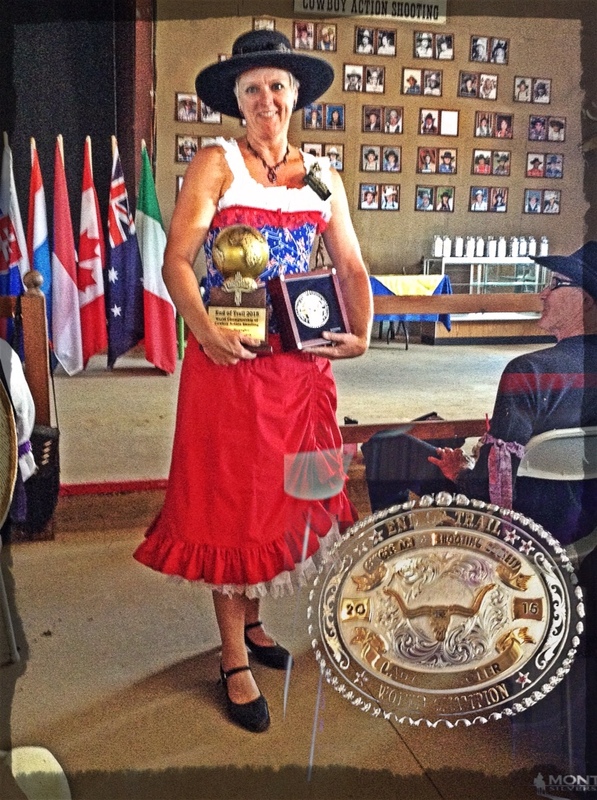 And Lil McGill's Jane Russell – Annie Oakley outfit won her 1st place Ladies B-Western. 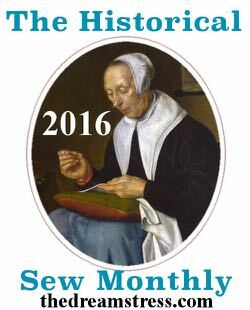 A very happy little seamstress. 🙂 Doc Barium didn't wear her seaside toilette because of the mud we had – totally understandable – so you may have to wait for convention or beyond for that one. 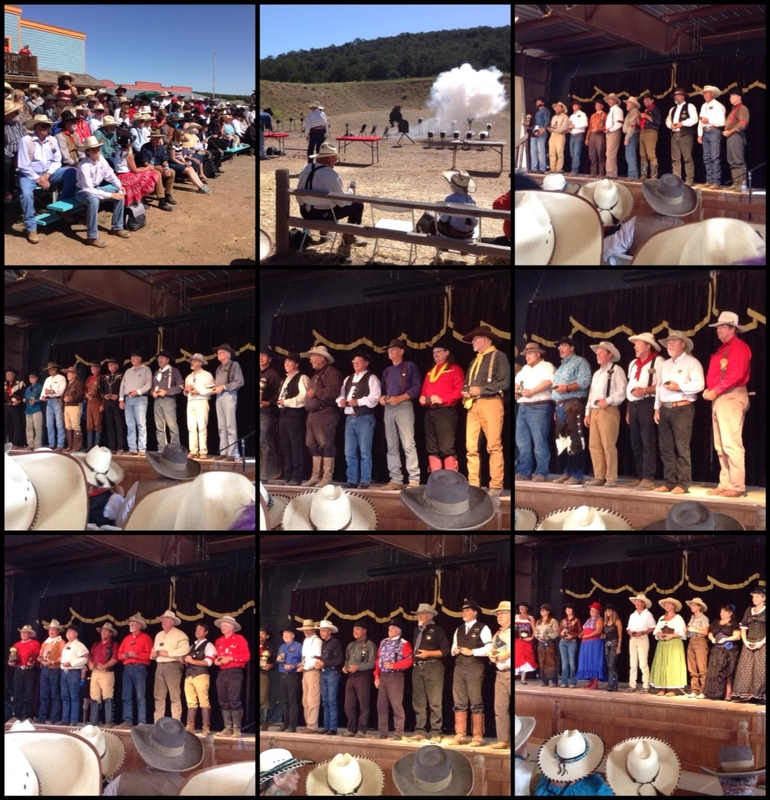 Later in the evening the Top 16 were announced – Blackhawk Henry, Bobcat Tyler, Bull Shooter, Cobra Cat, Cody James, Colt Faro, Copperhead Joe, Deuce Stevens, Doc Burwood, Duke Skywalker, Lead Ringer, Matt Black, Preacher Kid, Prestidgitater, Slick McClade and Waterloo. The 6 alternates were Tres Equis, Constable Nelson, C.S. Brady, Roy's Creek Dan, Mose Spencer, and James Samuel Pike. 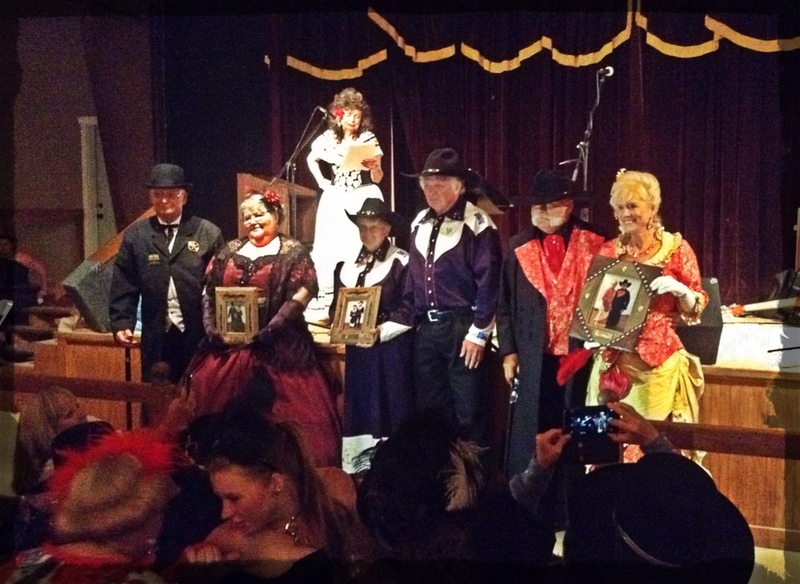 For the Sweet 16 it was – Barbary Coast, Echo Meadows, Half-A-Hand Henri, Hey You, Holy Terror, Kathouse Kelli, Lefty Jo, Morguns Ann Ammo, Panhandle Cowgirl, Sass Kicker, Shamrock Sadie, Slick's Sharp Shooter, Spur Broke, Texas Tiger, Turkey Legs and Two Sons. The 6 alternates for the ladies were Silver Heart, Lawless Lil, Ivy Hills, Etta Mae, Diamond Kate and Claudia Feather. So into the shoot out we went, and I drew Holy Terror. I was happy to be close behind – man can she run that '97! At the end of it all Sass Kicker and Prestidgitater won the Ladies and Men's shoot out. A few quick memories of placements. Constable Nelson aka Trooper, 10th Place, Men's Modern Wild Bunch. Rooster Cockburn, 10th Place, Senior Men's Modern Wild Bunch. K C Woody, 5th Place, Senior Gunfighter. Aussie Drover aka Moonshine, 9th Place, Duelist. Sam Balin, 4th Place, Senior Duelist. 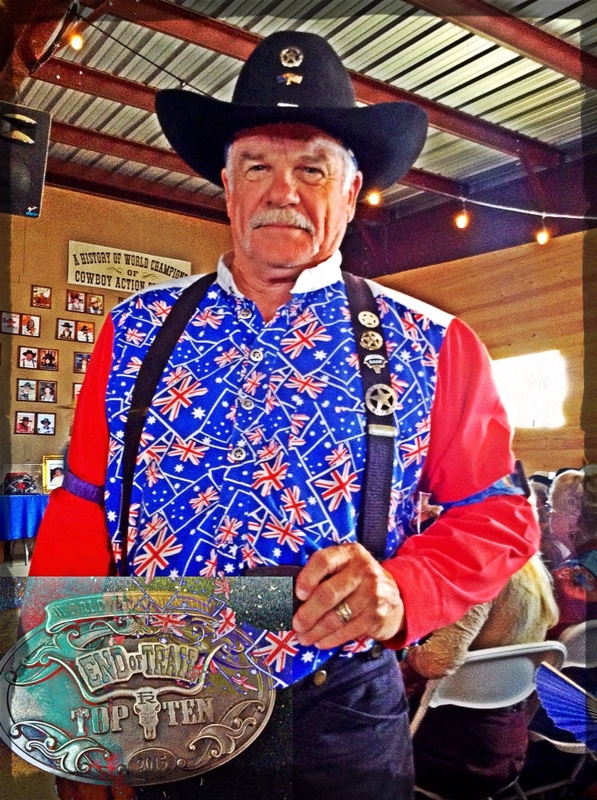 From Oklahoma, Roy's Creek Dan, 3rd Place and from Australia, Constable Nelson aka Trooper, 2nd Place, 49er's. From Oklahoma, C.R. Hicock, 1st Place, Buckaroo. 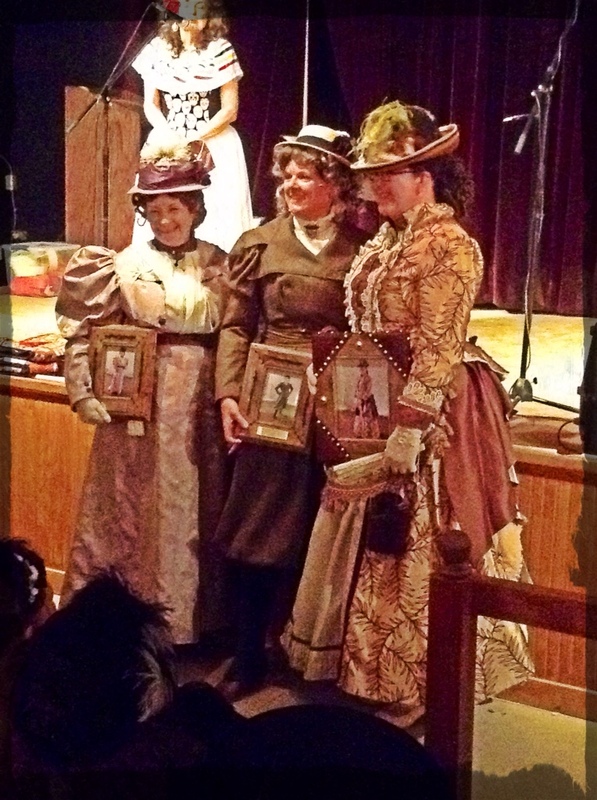 Kathouse Kelli aka Amazing Grace, 1st Place, Lady Wrangler. There were probably more I could have listed but haven't. 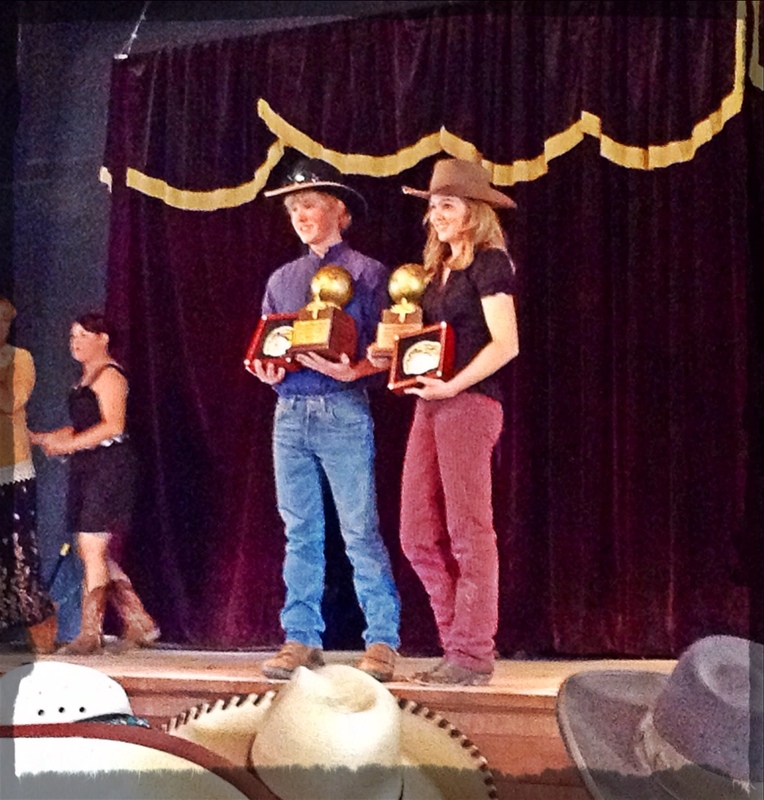 The 2015, SASS Overall World Champion Cowgirl and Cowboy are Sass Kicker and Matt Black. Congratulations! By the way, if you don't know, they are both junior shooters. Very impressive! A huge congratulations to all the SASS team, it was efficient, flowing and great to have the photos done inside. That way everyone could view the category winners and they weren't out in the heat waiting to get pics taken and missing out on hearing other's wins. Great job! After many goodbyes, a quick 'tinny' in the car park with some other Aussies (Oh, and that may be a new Aussie piece of slang for some – tinny means cold beer in a tin can) it was time for us all to roll out. The car park was barren, most of the RV's and trailers had pulled out and Founders Ranch was starting to look like a ranch again.